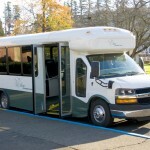 For our Bus we feature an Arboc Spirit of Mobillity bus that offers the easiest possible way to get on and off. The bus lowers when the door opens , and a sloping ramp provides easy access with no stairs at all ! Walkers and power chairs alike can go right on or off without using a power lift or anything. It is state of the art convenience for our residents. 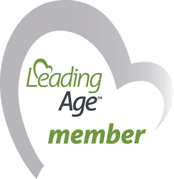 Our bus takes groups of up to 14 residents to many different activities and events. 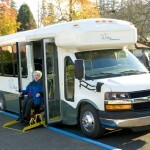 Our mobility van offers similar access. 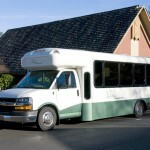 We use it for taking residents to medical and other appointments. It is a Toyota Sienna Van with the mobility package and retractable ramp, When loading it will ‘kneel’ and the ramp will extend. It makes it very easy to load and unload. Check out our pictures of our bus and check back for more picture of our van in the future. At The Village, it is our goal to make life easy for our residents and enable them to live fulfilling independent lives as long as possible. Come by and check out our services and our vehicles! This entry was posted on Wednesday, July 1st, 2009 at 8:07 pm	and is filed under Featured. You can follow any responses to this entry through the RSS 2.0 feed. Responses are currently closed, but you can trackback from your own site.